Modular construction allows builder to configure as preferred. 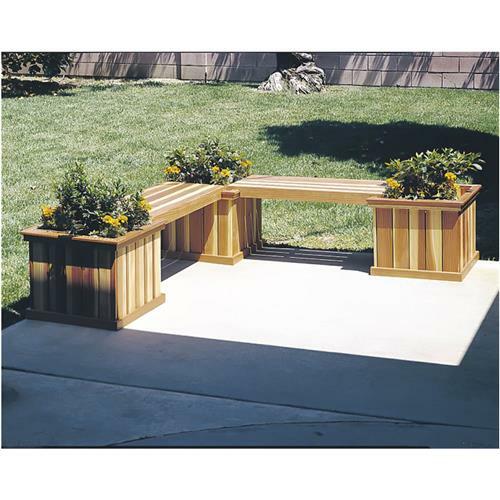 Planter boxes measure 20-1/2" square by 17" tall; benches measure 36" long by 15" wide.Note: Due to their nature, plans are non-returnable. Defective plans will be replaced. Modular construction allows builder to configure as preferred. Planter boxes measure 20-1/2" square by 17" tall; benches measure 36" long by 15" wide.